Great battery at great price. Arrived when promised. Will buy again. As far as I can tell the battery is very good but as that is only after 1 round and 1 recharge so it is far too early to make a reasoned judgement. The ordering, information passing and delivery were definitely first rate. Good fit with my Hillbilly Trolley and no problems with completing 18 holes on my hilly course. Excellent service, battery received in one day. One problem is the torberry lead which is the wrong connector I wanted a lead that that one fits into. Thank you Richard. Product exactly as stated, excellent service from uk to here in Southern Spain. 3 working days after ordering I was using battery. Used four times happy so far 18 holes,good delivery, Hoping it lasts the the hole year. 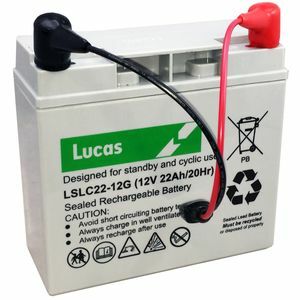 I have owned and used a number of these batteries on my golf trollies and I have been very satisfied with the performance. I have had 2/3 year's service from each one which i consider good value. Seems good but have only used it twice so ask me again 12 months from now!